AUSTIN, TX (KTRK) -- A Texas native who is the oldest living veteran of World War II celebrated a milestone birthday on Wednesday. 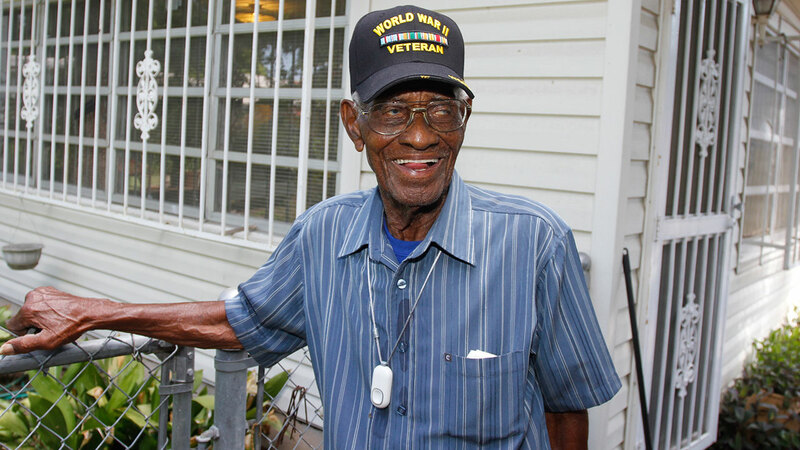 Ricahrd Overton turned 110 years old. Overton, a native of Bastrop County, who now lives in Austin served in the U.S. Army. Overton says he doesn't have any great secrets for his long life, though he has outlived two wives and has been single for nearly 30 years. Overton doesn't have any children, but says he still has "the biggest family in Austin."